A constant supply of nutrients is needed to aid healing process after having a surgery. The nutrition should come all macronutrient groups, essentially from carbohydrates, protein and fat. Health experts suggest breaking meals into smaller portions and timing them evenly throughout the day. Spreading meals throughout the day makes it easier for a body to absorb nutrients and suppress hunger. Fruits and Vegetables – Fruits laden with vitamins A, E, C, D and E help to revive functioning of several organs. 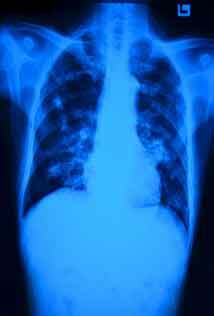 Vitamin E helps patients lower the risk of lung cancer recurrence. Apples, oranges, berries and dried fruits also provide fibre for streamlined functioning of digestive system. As far as vegetables are concerned, health experts recommended vegetables high in fibre, especially green leafy vegetables. Fruits and vegetables must constitute 30 percent of the daily diet. Meat – Lean meat, such as fish, turkey and skinless poultry should be included in the diet to fulfil protein requirement. Owing to its high saturated fat and cholesterol content, limit daily intake to 15 per cent . Low-fat Dairy Products – Milk, cheese and yoghurt should essentially be included in the diet chart to make it easier for the digestive tract, which becomes sensitive after surgical treatment. For nutritional support, speak to a dietician to make sure that nutritional requirement is met. In case a patient is unable to eat or digest food, nutrition is given parenterally (through a vein) or enterally (through a feeding tube). Moreover patients should ask friends and relatives to help them maintain recommended diet for avoiding malnutrition and other complications.